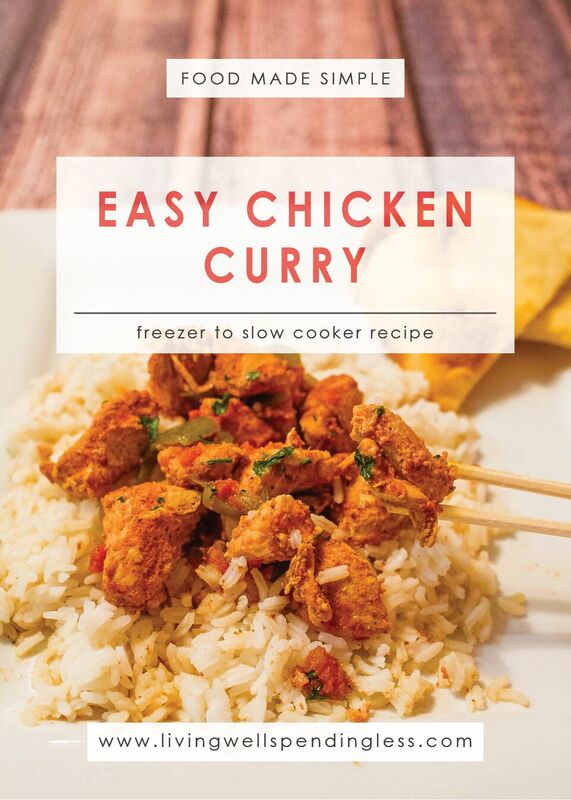 It’s no secret that we LOVE quick & easy freezer meals around here, especially ones that use budget-friendly ingredients! Believe it or not, this tender, juicy, flavor-packed Chicken Curry is a winner. 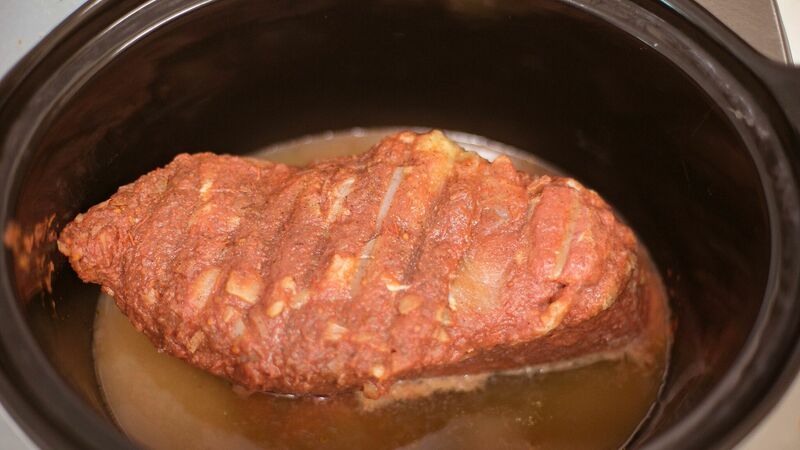 It’s uses mostly basic ingredients, whips up in minutes, then goes straight from the freezer to the crockpot to the table, all while tasting like you spent hours slaving away in the kitchen! 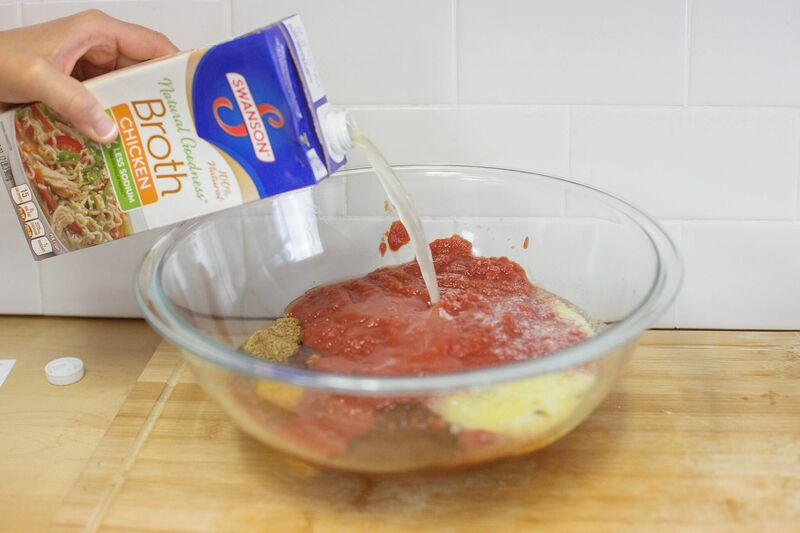 To make it as part of a freezer cooking day, just split the sauce & chicken into multiple bags, then throw it right into the freezer–no cooking required! 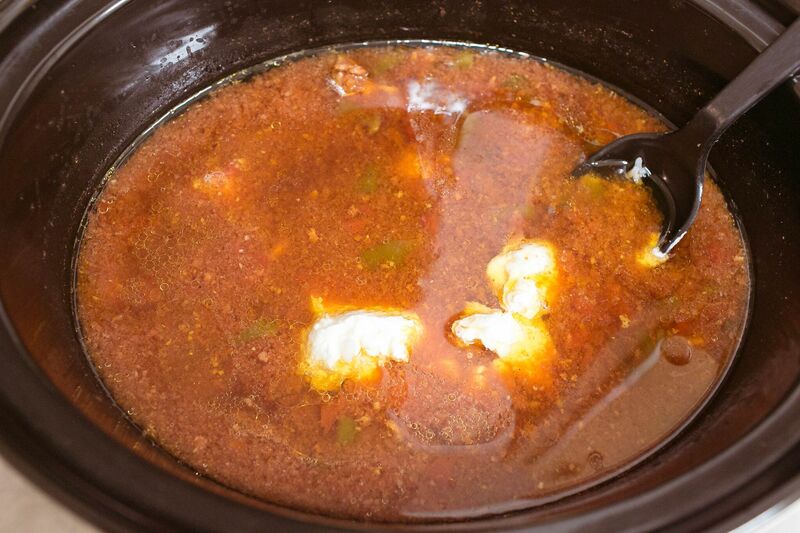 Chicken in the crockpot can get very dry, especially when it is cut into smaller pieces. I used boneless skinless thigh meat rather than breast meat because it has a lot more fat, which helped keep the meat nice and moist. 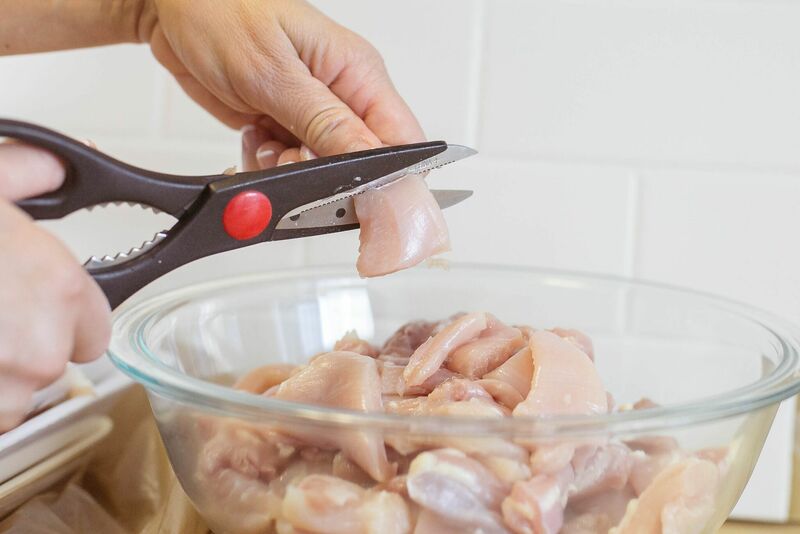 Step 1: Cut chicken into strips; set aside. 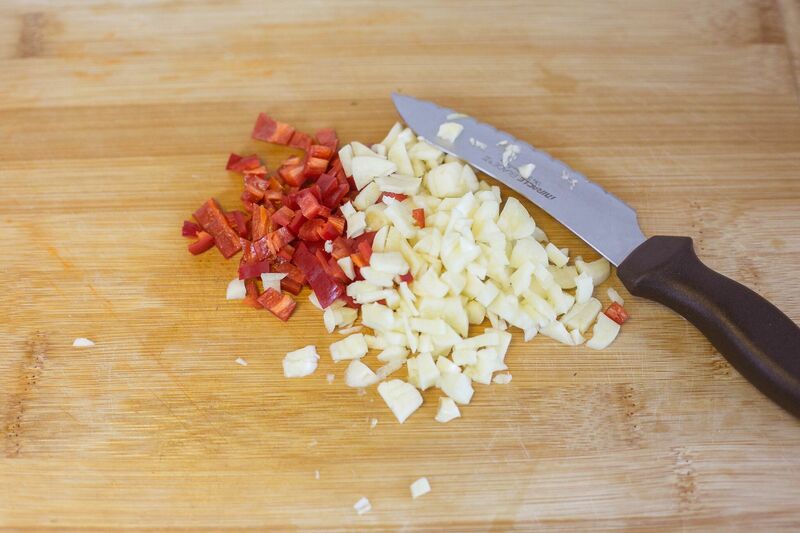 Step 2: Chop chili pepper, and mince garlic; set aside. Step 3: Mix together lemon juice, chili powder, salt, garlic, ginger, red chili peppers, crushed tomatoes, honey, chicken stock, Garam masala, and melted butter. Step 4: Divide chicken into 2 gallon size freezer bags ( be sure to label bags first.) Divide mixture over top chicken. Step 6: Once chicken is cooked; turn heat off and add yogurt to crockpot and stir. Step 7: Serve chicken over cooked rice and along side some naan. 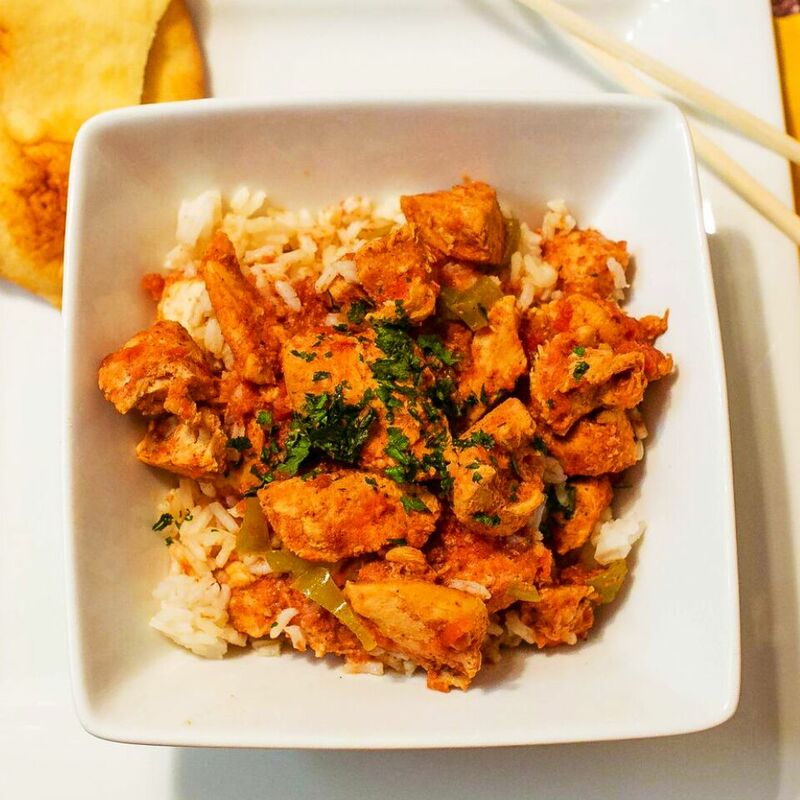 Instant Pot recipe update: Defrost chicken curry in the fridge the night before. Then place chicken curry in Instant Pot and add a 3/4 cup of water, close the lid making sure the vent valve is on the sealing position. Press the Pressure-cooking setting and set the time for 40 minutes. Once 40 minutes is up, do a quick release. Then remove at least one cup of liquid and turn IP to sauté. This helps the sauce to thicken and coat the chicken. 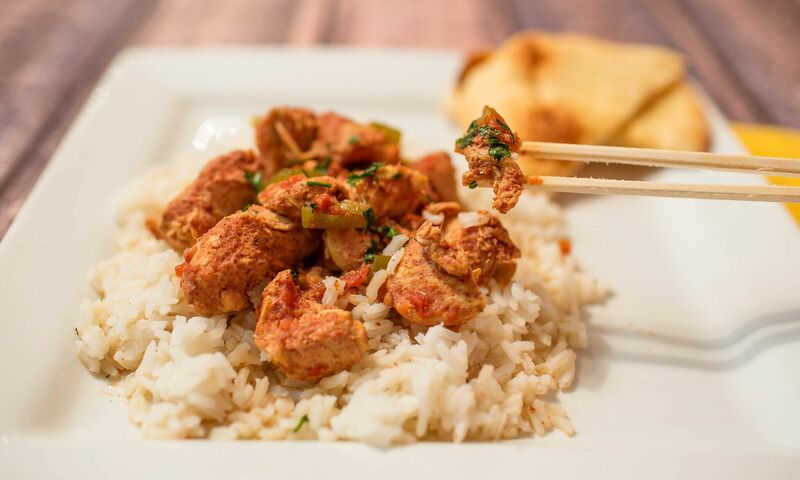 This deliciously simple Chicken Curry recipe is the perfect way to turn boring old chicken into a meal your whole family will love. Cut chicken into strips; set aside. Chop green chili peppers, and mince garlic; set aside. Mix together lemon juice, chili powder, salt, garlic, ginger, red chili peppers, crushed tomatoes, honey, chicken stock, Garam masala, and melted butter. 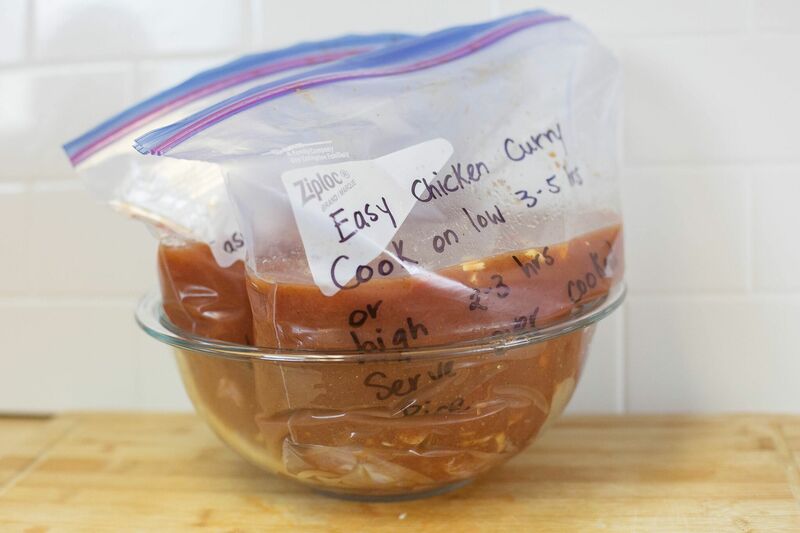 Divide chicken into 2 gallon size freezer bags (be sure to label bags first). Divide mixture over top chicken. 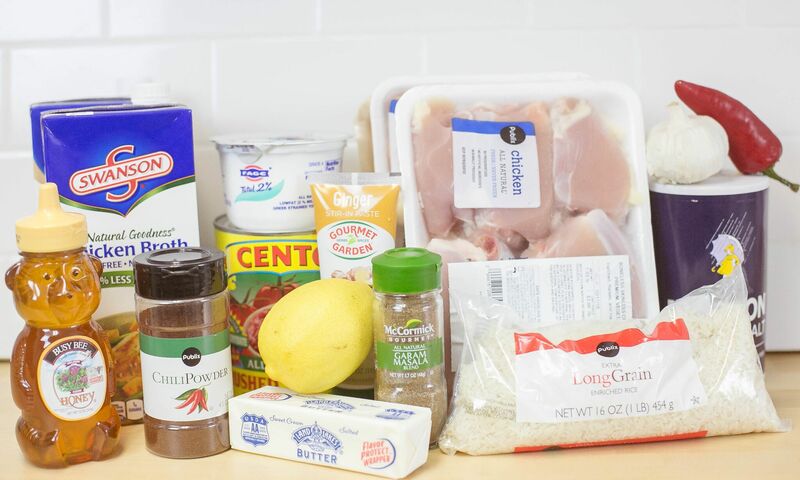 Once chicken is cooked; turn heat off and add yogurt to crockpot and stir. 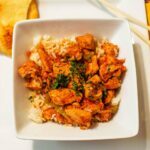 Serve chicken over cooked rice and along side some naan. 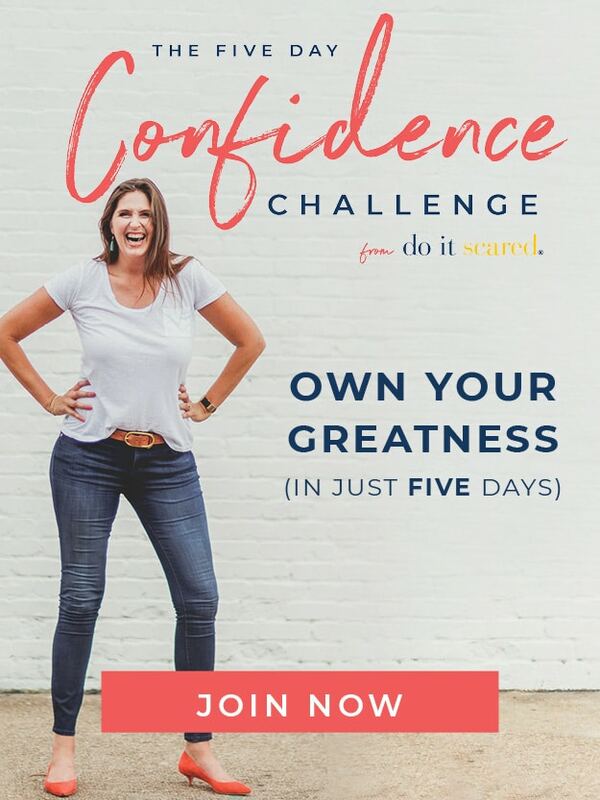 Hi, I am so excited to get excited. 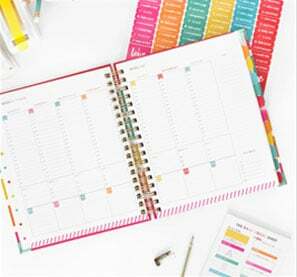 My first year with this planner. I am checking out all the goodies. Is this supposed to call for one red bell pepper not a chili pepper? I imagine a whole chili pepper would be incredibly spicey. I did use a whole chili pepper but if you are concerned about spice you can use less. Just remember to not keep the seeds. The recipe at top seems to be doubled compared to one on bottom. Also did you use the tomatoes with chilies? It is not listed at bottom. Looks like a good recipe. The recipe says to divide into 2 gallon bags. Does that mean 2 bags or x number of 2 gallon size bags. Later it says 4 servings, hmm. How many liquid ounces is 2 cartons? Your curry chicken sound so yummy. Please inform me.